If you are looking for a private New Smyrna Deep Sea charter boat, we customize your experience. Rates vary depending on the number of people and length of time of the trip. Please click button below for all options and pricing or call for more information. 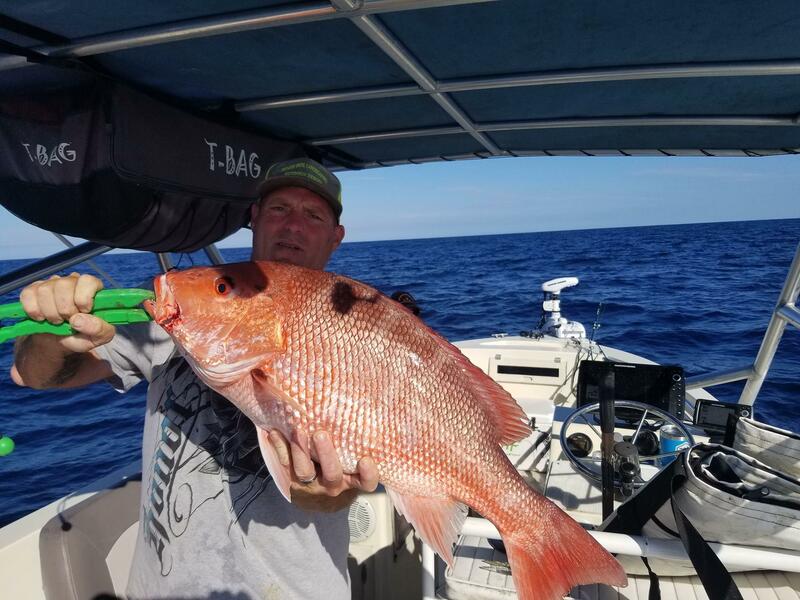 Offshore and Deep Sea Fishing New Smyrna Florida – Go with the best local deep sea fishing charter in New Smyrna and join us aboard our expert charter fishing boats. We go to where the fish are, deeper and get there faster. We are highly rated and take pride in what we do and it shows in our reviews. Come see for yourself and get hooked! If you’re searching for more of an outdoor adventure, a whole new world of experiences are waiting for you on a full day, three quarter day and half day deep sea fishing trips. Depending on the season, New Smyrna deep sea fishing charters hook up on Mahi Mahi, Wahoo, Cobia, King Mackerel, Wahoo, Blackfin Tuna, Amberjack, and Snapper. New and experienced anglers will love the size, speed, and taste of these species. So, jump aboard for a New Smyrna deep sea fishing charter experience that is certain to be the highlight of your vacation! 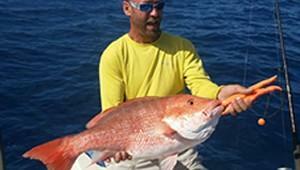 We offer full day, three quarter day and half day private deep sea fishing charters every day of the week. 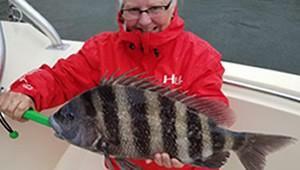 We have beautiful boats and experienced captains that absolutely love to see customers catch fish. We are conveniently located in New Smyrna, it’s near Daytona, Port Canaveral, Melbourne, Cape Canaveral, Cocoa Beach and convenient to Orlando, Disney World, and Universal Studios. 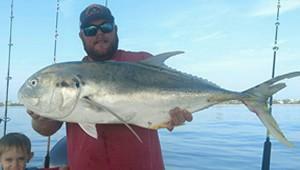 Did you know that New Smyrna is one of the best places to fish for Yellowfin Tuna and Cobia in Florida? This is because it is relatively close to the gulf stream and deep cooler waters. Our captains know how to cater to all level of fisherman, from seasoned anglers to customers that have never held a fishing rod. Our fishing charters are great for kids and families as well. If you look at our reviews, photo gallery, videos and fishing reports, you will see that we have a wide variety of customers and fish that we catch.